Members of the 369th who were awarded the Croix de Guerre for gallantry. Though their actions didn’t immediately alter the fight for equal rights at home, the regiment’s wartime service heightened a sense that sending African-Americans to fight for democracy abroad — while racial segregation and inequality went unchecked at home — smacked of hypocrisy. 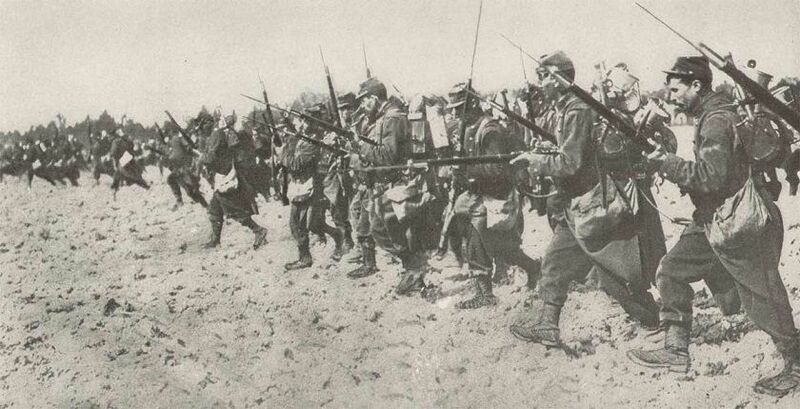 The French certainly did love these long sticks for holding their bayonets. By the time the United States joined the war, its allies were in desperate need of reinforcement. 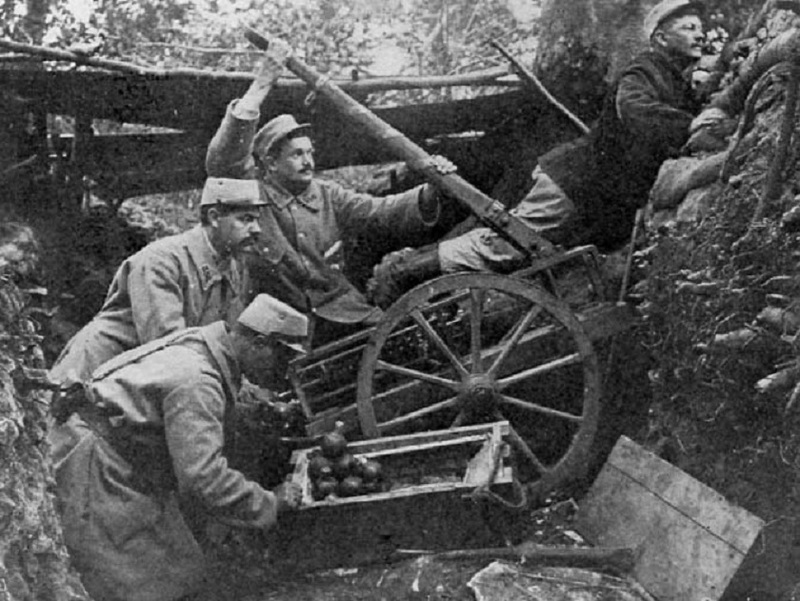 The men of the 369th were sent to assist the French Army’s 16th Division on the Western Front in spring 1918. 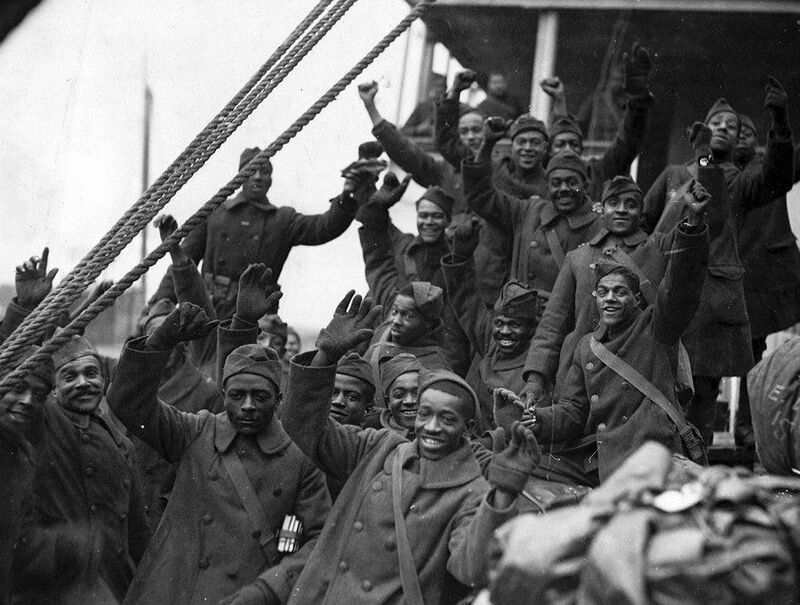 It was a strategic necessity — the Western Front desperately needed reinforcement — but it was also motivated by racial bias: Many white American soldiers refused to fight alongside their black counterparts. Turns out the Marines don’t have a copyright on stabby stares. Johnson and Roberts were among the first Americans to be presented the Croix de Guerre for valor by the French military. 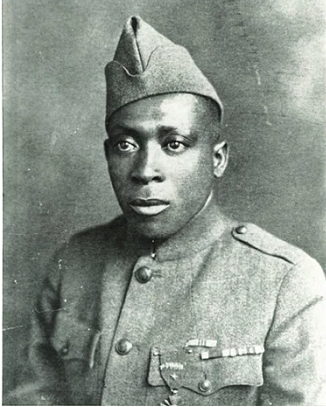 And in 2015, Johnson became the second African-American to receive the Medal of Honor for actions during World War I, presented by President Barack Obama during a posthumous award ceremony at the White House. Don’t make them kill you with those clarinets. Among the Hellfighters’ many distinguished members was James Reese Europe, a renowned ragtime and jazz musician who served as both an infantry officer and the regiment’s bandleader. Europe had a hard time finding enough trained recruits to play in the regimental band in New York, so he traveled to Puerto Rico and enlisted more than a dozen black instrumentalists from the island to round out his band, according to the New York Folklore Society. “The band, which recruited up to a third of their members from Puerto Rico, introduced European audiences, particularly in France, to live jazz music and influenced the careers of notable musicians” on both sides of the Atlantic, according to the Society. Musicians like Europe continued to play while serving abroad, touring thousands of miles to perform, according to Rod Paschall, director of the U.S. Army’s Military History Institute. This exposure to a deeply American style of music — jazz — had a profound and lasting impact in France. 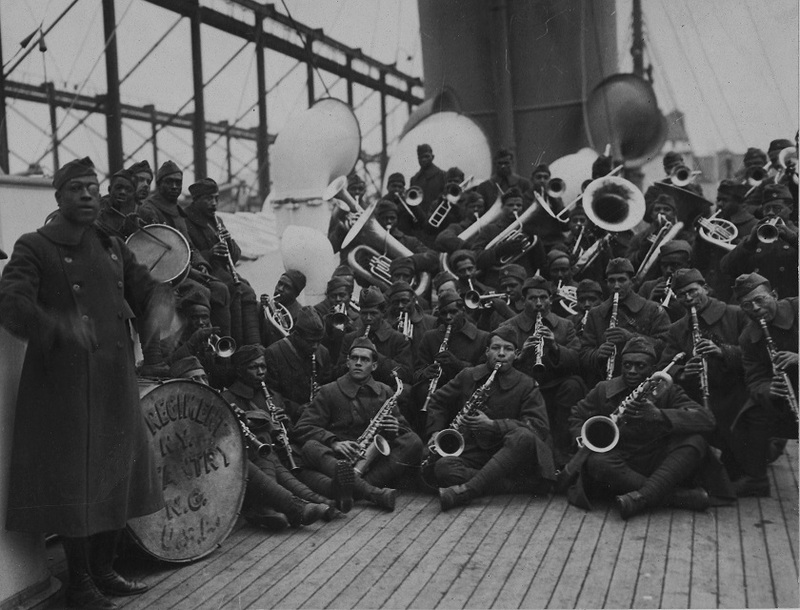 It also produced a corps of Latin and black musicians who found themselves in demand in New York after their service. 4. To fight alongside the French, they had to learn to fight like the French: badass. Because nothing says ancient warfare meets modern combat like a grenade-chucking catapult. Those tricks included cutting off the tails of their overcoats so they wouldn’t get weighed down with mud and water; carving grooves in the mud wall with shovels to make it easier to climb out of the trenches; or curling up balls of barbed wire during the day, so that at night they could be carried with ease and then quickly unfurled to reinforce the defenses. They were still damn glad to get back home to New York, though. Many of the U.S.-French pairs of soldiers ended up cementing permanent bonds. George Cuffee, a young soldier in the 369th, became close to his French counterpart, Ruby Garnett, who taught him to speak French — a fact that Cuffee’s wife, kids, and grandkids were unaware of for decades, until one night, when they caught him parlez-ing Français in his sleep. When asked why he never spoke French around his family before, his sardonic reply was: “None of you all speak French, why should I waste time talking it to you?” Cuffee’s great nephew, Glenn Jones, told Task & Purpose. 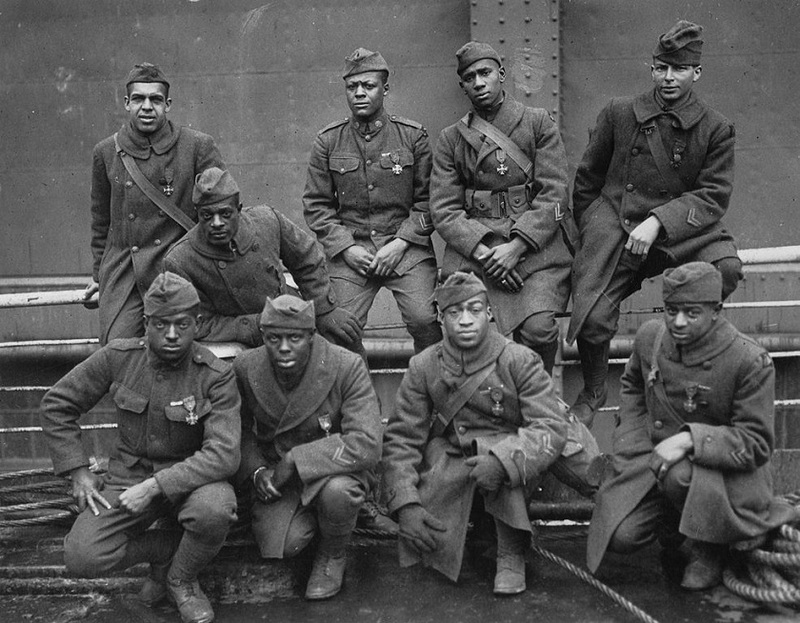 One night in the days before the Meuse-Argonne Offensive — a massive battle that stretched along the Western Front, and lasted 47 days, ending on Armistice Day — Garnett took Cuffee’s place on watch. Tragically, Garnett was killed in an unexpected attack, and his death stayed with Cuffee for years. “They were buddies, so they’d be together all the time in the trenches,” Jones said. Cuffee “vowed to name his first child” after Garnett — and he did, naming his eldest daughter Ruby Garnett after his fallen friend.